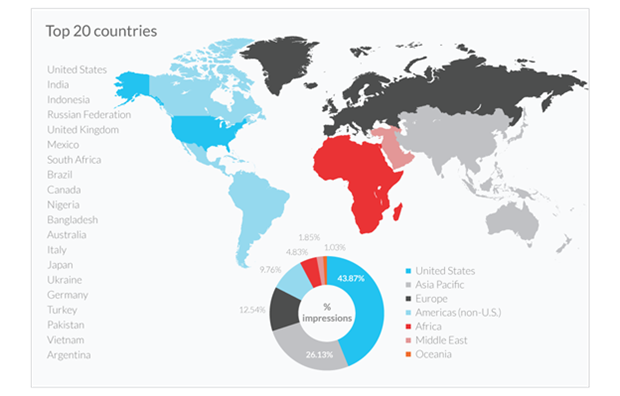 Opera Mediaworks, which is one of the largest mobile advertisement platforms in the world with 350 million+ users has just released their ‘State of Mobile Advertising’ report for 2014. 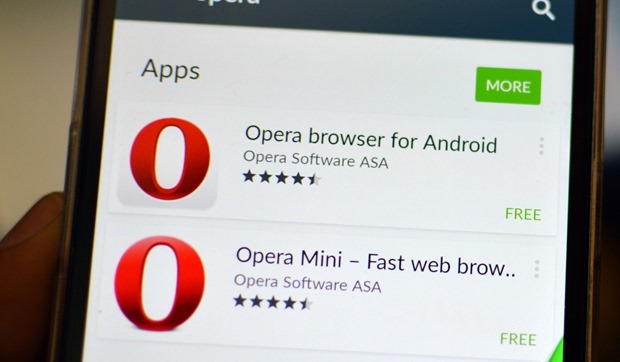 Opera has 50 million+ users of their ‘Opera Mini Mobile Browser’ in India, which makes them the third most popular mobile app in the country behind Facebook and WhatsApp. The report has analyzed mobile advertisement trends for the last quarter of 2014 (October-December), and has come up with some amazing insights and trends which are shaping the current mobile advertisement market, globally. The report has analyzed 800 million mobile users (both smartphone and feature phone), who have accessed 18000+ mobile sites and applications which are part of their advertisement platform. As per the report, Apple’s iOS is world’s most advertisement revenue generating mobile operating system, while Android OS drives maximum traffic. 62.69% of all ads served on Opera’s network were on Android OS, meanwhile 27.18% were on Apple’s iOS. 10.13% belonged to other platforms such as Blackberry and other OS. Interestingly, in 2009, 45% of the market was captured by Apple, 10% by Blackberry, 8% by Sidekick and the rest covered by ‘Others’ which included Android. Now, in the last 12 months, Android has gained almost 25%, grabbing market share from both Apple, Blackberry and other operating systems. Overall, mobile traffic has increased 3.5 times in the last 4 years. When it comes to revenues generated, then Apple is the clear winner here. For the period Q4 of 2014, iOS resulted in 51.67% of overall mobile advertisement dollars globally, whereas Android had 41.20% share. Others, which includes Blackberry, Windows, Symbian etc resulted in only 7.13%. However, compared to last year, Android has increased their share from 31.73% to 41.20%, meanwhile Apple has reduced their share from 55.7% to 51.6%. As per the report, one of the primary reasons for increasingly profitable mobile advertisement on Apple is that advertisers from US, Europe and Australia trust Apple devices for streaming rich media ads such as videos, high definition images and animated ads, compared to Android devices which are pre-dominantly in those countries which doesn’t support high speed internet. Additionally, the devices on Android platform reflects huge variance in quality and hardware support. 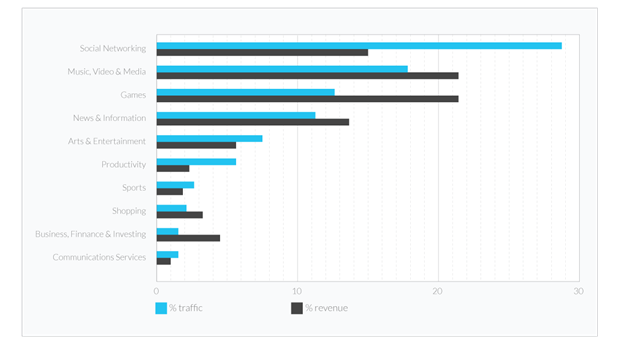 The report clearly mentions that Social Media sites are the biggest traffic pullers on mobile platforms, but when it comes to revenues, then music, video and games rules the chart. Social media sites attracted 31.42% of all mobile traffic, compared to 19.59% from music/videos and media channels, and 13.94% from games related apps/sites. But in revenue stream, games are the biggest platform as they resulted in 23.6% of all revenues, compared to 23.83% from music/video category and 16.56% from social media category. When compared globally, then India has come out as the second biggest market for mobile advertisements all over the world. US leads the chart with 43% market share, followed by Asia which has 26.13% share. In the top 20 country chart, besides India, we have Indonesia, Bangladesh, Pakistan and Vietnam from Asia Pacific region. If Opera had added China in the whole matrix, then Asia as a whole would have easily overtaken US; but considering that China operates on an entirely different advertisement platform, Opera has excluded them from comparison. For exclusively mobile apps, Games is the hottest category for downloads and revenue, followed by Utilities and Communication. Within 14 days of the installation of the mobile app, 43% drop in weekly visits are experienced, which drops to 33.67% after 21 days and 28.19% after 28 days. India is a fabulous market to be in for developers in the U.S. or Europe. Same with China. Android is very strong in emerging markets. If you monetize with ad networks that deliver solid returns there — primarily Airpush and to a lesser degree AdMob, but those two for sure — you’ll do quite well.